Should You Protect Yourself from Ticks in the Winter? Heading outdoors in January? Don't forget your DEET! While winter weather may mean most bugs are dormant, there's one important arthropod you should still take steps to avoid. Blood-sucking, disease-carrying ticks may still be active in winter months. Yes, Some Ticks Bite in the Winter! Some ticks are still looking for blood in the winter and may bite if you give them the chance. Generally speaking, as long as temperatures stay below 35° F, ticks remain inactive. On warmer days, however, ticks may be out looking for a blood meal. If the ground isn't completely covered with snow and soil temperatures reach 45° F, ticks will likely search for blood hosts, including you or your pet. If you live in an area where winters are mild, you should definitely be concerned about protecting yourself from ticks year-round. But even in regions where winters can be harsh, you should keep ticks in mind when going outdoors on milder winter days. While dog ticks are rarely seen after the first frost of the year, deer ticks are known for coming to life when the weather is mild. What Are Ticks and How Do They Find You? Ticks are arthropods in the class Arachnida, the arachnids. Ticks and mites are cousins of spiders, scorpions, and daddy longlegs. But while most other arachnids are predators or scavengers, ticks are blood-sucking ectoparasites. Some tick species live in close proximity to their hosts and complete their entire life cycle on that host species. Others, including most ticks that feed on humans, will take blood meals from different species during each stage of their life cycle. Ticks locate potential hosts by detecting movement and carbon dioxide. Ticks cannot jump, fly, or swim. They use a technique called questing to locate and attach to a blood host. When searching for a blood meal, a tick will position itself on vegetation and assume a stance that allows it to immediately grab onto any passing warm-blooded animal. Ticks are remarkably effective at transmitting diseases to their hosts, unfortunately. Among arthropods, only mosquitoes carry and transmit more human diseases than ticks. Tick-borne diseases can be difficult to diagnosis and treatment. Ticks carry bacteria, viruses, and protozoa, all of which can make their way into your body when a tick feeds on your blood. 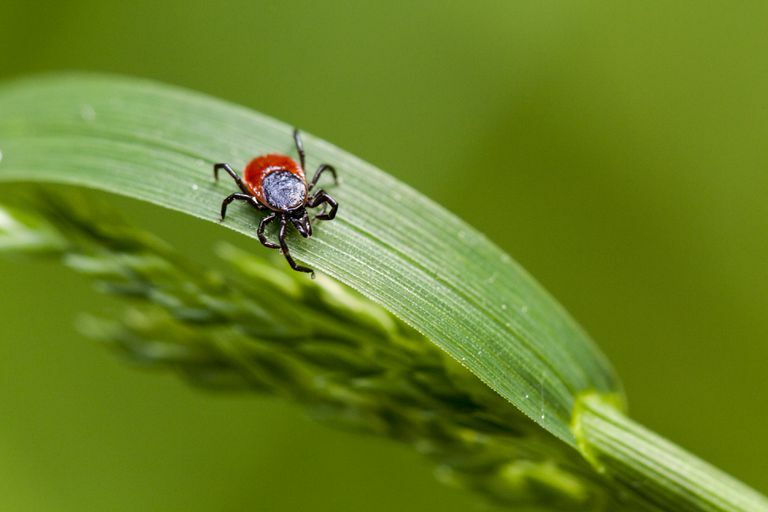 Diseases transmitted by ticks in North America include: Lyme disease, Rocky Mountain spotted fever, Powassan virus, American boutonneuse fever, tularemia, Colorado tick fever, ehrlichiosis, anaplasmosis, babesiosis, relapsing fever, and tick paralysis. If air temperatures rise above 35° F, you should take precautions to avoid tick bites, just as you do in summer months. Use a tick repellant as directed, wear long pants and tuck your pant legs into your socks, and do a thorough check for ticks as soon as you return indoors. Pets that go outdoors can carry ticks back home, too. A recent study funded by Cornell University suggests that deer ticks rely on leaf litter to insulate themselves from the cold during the winter months. Raking your leaves in the fall and eliminating leaf litter from your yard may help reduce the population of ticks in your yard and protect your pets and your family from tick bites in the winter. Encyclopedia of Entomology, 2nd edition, edited by John. L. Capinera. Physician's Guide to Arthropods of Medical Importance, 6th edition, by Jerome Goddard. "Leaf cover appears to help deer ticks survive winter, Maine researchers report," Joe Lawlor, Portland Press Herald, June 6, 2016. Accessed online December 19, 2016. 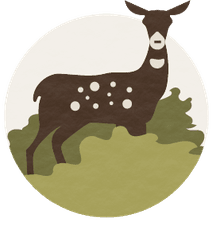 Seasonal Information - Frequently Asked Questions, Tick Encounter website, University of Rhode Island. Accessed online December 19, 2016. Do You Know Where Do Insects Go in the Winter? How Do Ticks Get on You? Where Do Mosquitoes Spend the Winter? Can Woolly Worms Really Predict the Winter Weather? Can You Remove a Tick Using Just Liquid Soap?